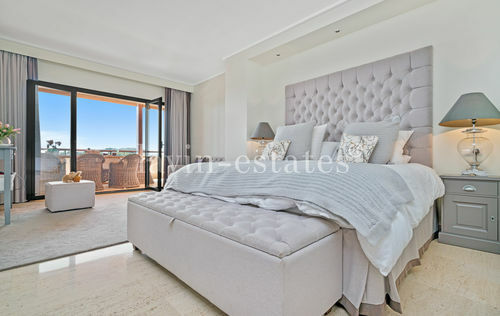 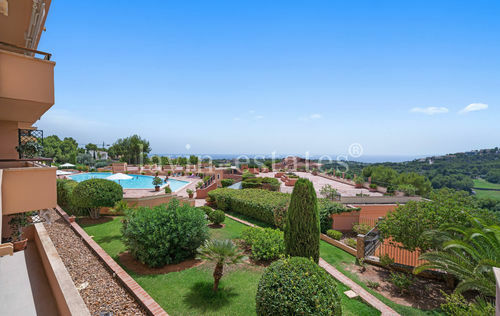 This modern apartment with phenomenal panoramic views over the landscape and the sea is located within walking distance to the prestigious golf club in Bendinat. 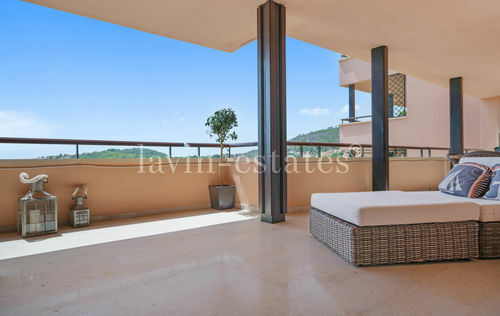 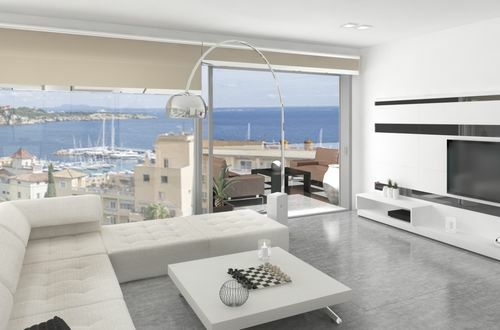 The property has a constructed area of approximately 250m2 with a large sea view terrace. 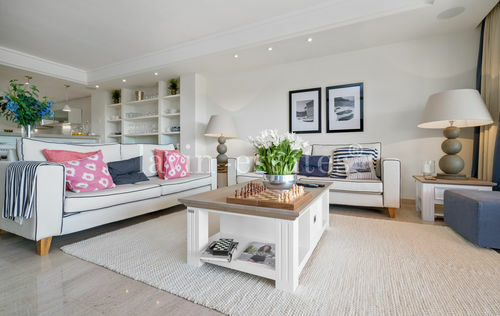 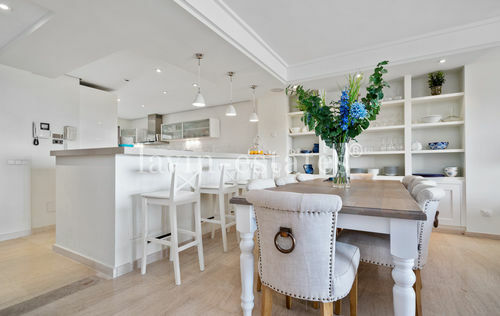 This wonderful well-kept apartment consists of a large living and dining area with a fully fitted modern kitchen, one master bedroom with private bathroom and walk-in closet, three additional spacious bedrooms with en-suite baths and a guest toilet. 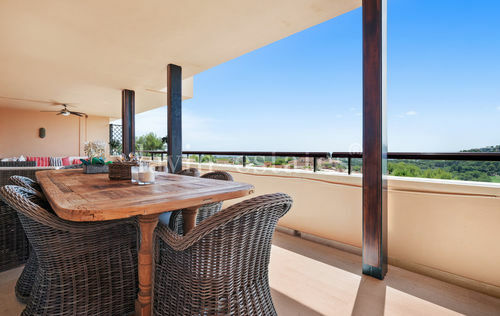 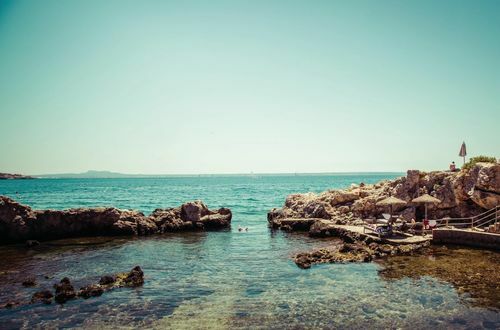 The exclusive complex offers a lovely Mediterranean garden and an ample swimming pool. 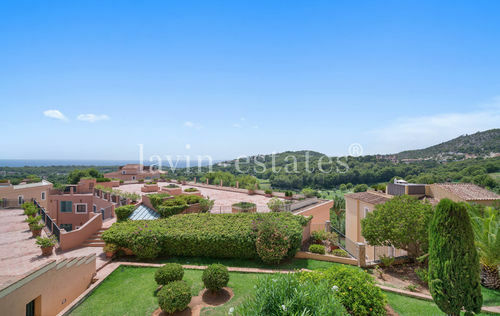 Further fittings and features of this property include the views up to Bendinat Castle and over the golf course, double glazing, central heating, underfloor heating, hot/cold air conditioning, an alarm system and two places in the underground parking. 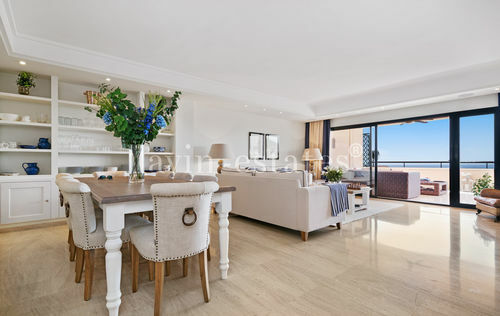 The wonderful residential area of Bendinat is located in close proximity to the royal golf course, the exclusive marina Puerto Portals and several beautiful sandy beaches.